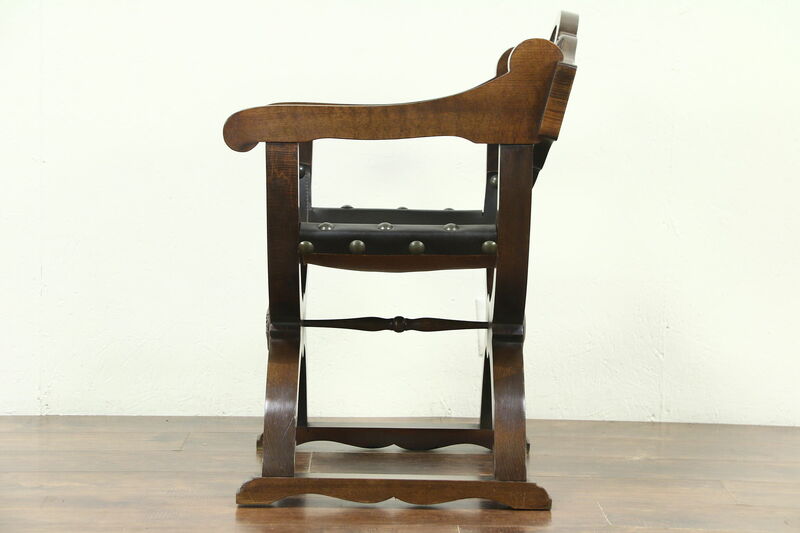 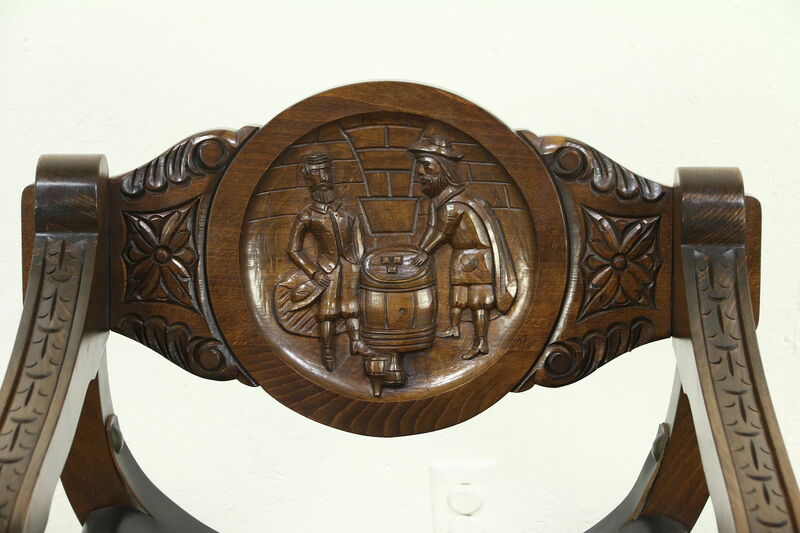 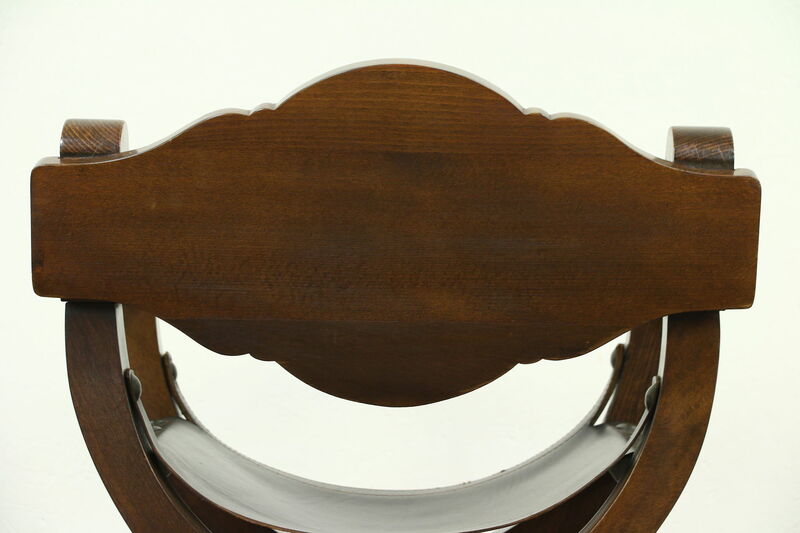 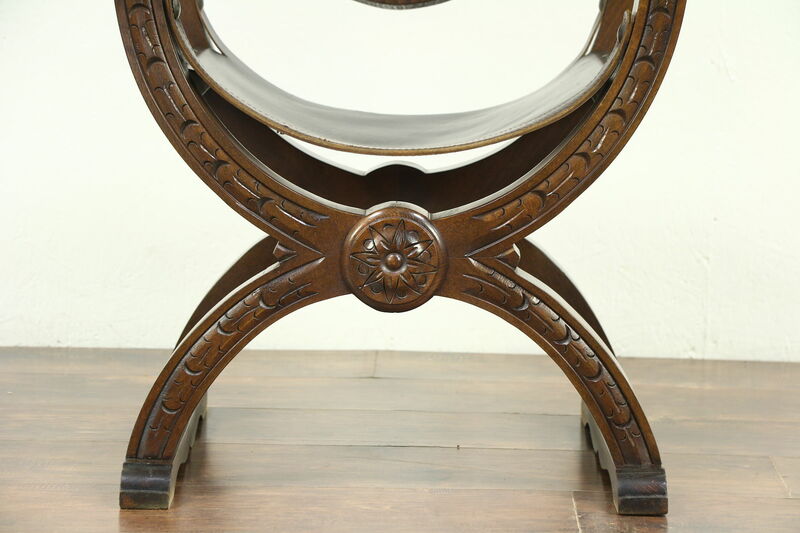 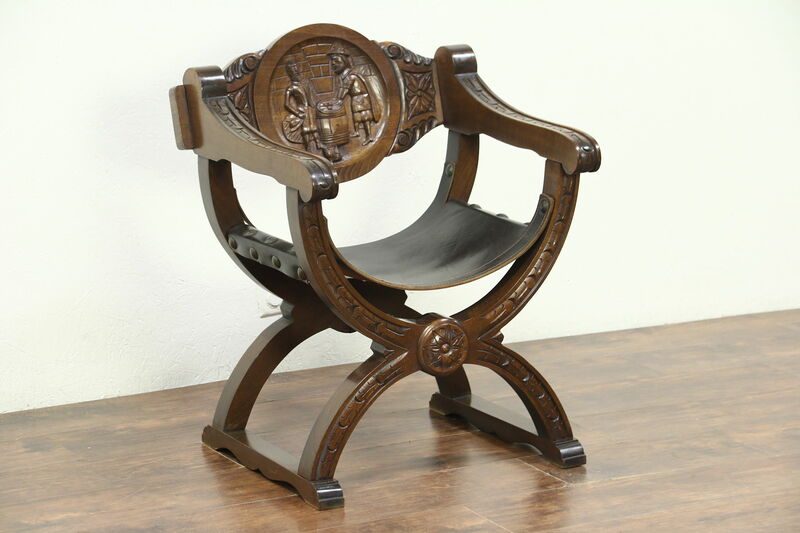 A traditional "Savonarola" chair was carved in Italy with a tavern scene in the back during the 1930's. 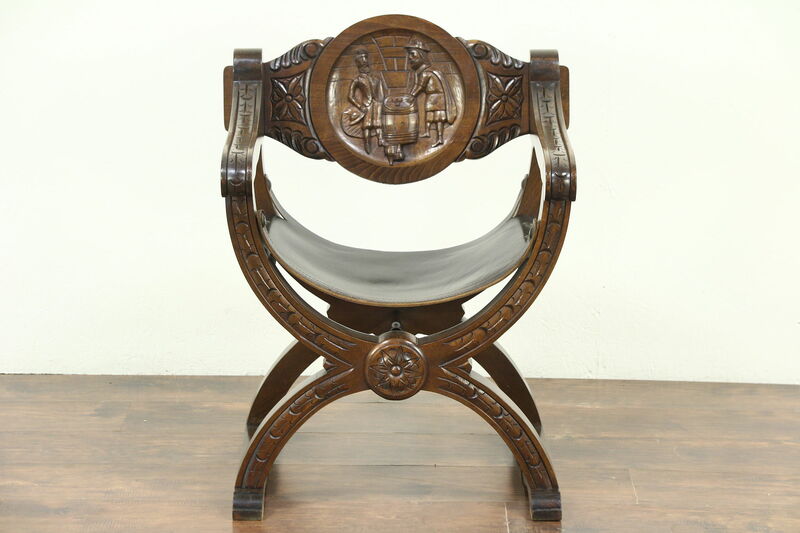 The design is named after the fiery Renaissance monk from Florence. 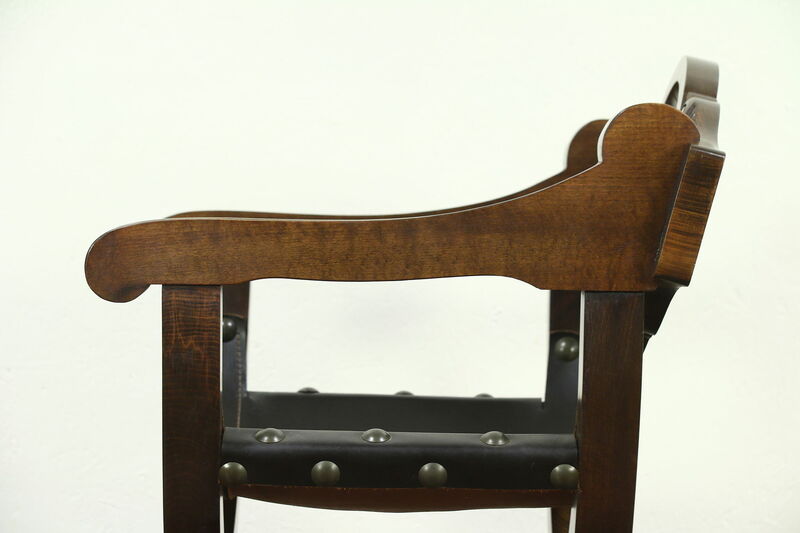 The original finish is also very well preserved. 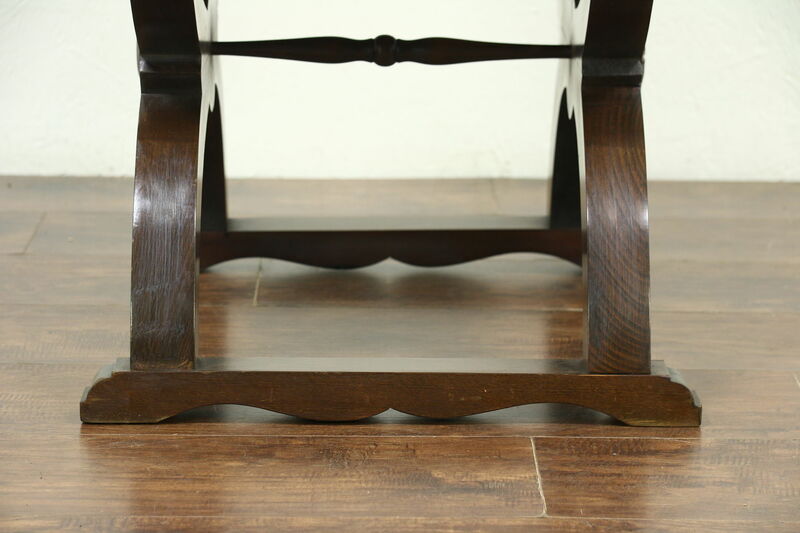 Solid beech hardwood, the frame is strong and tight. 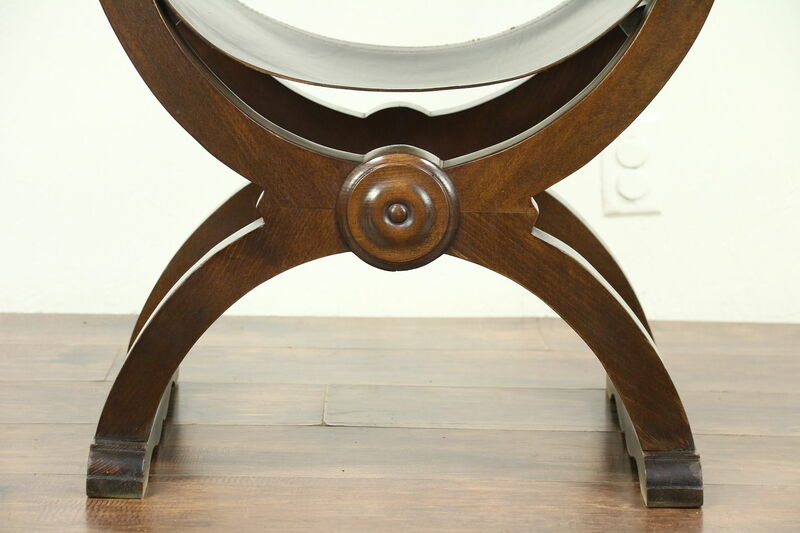 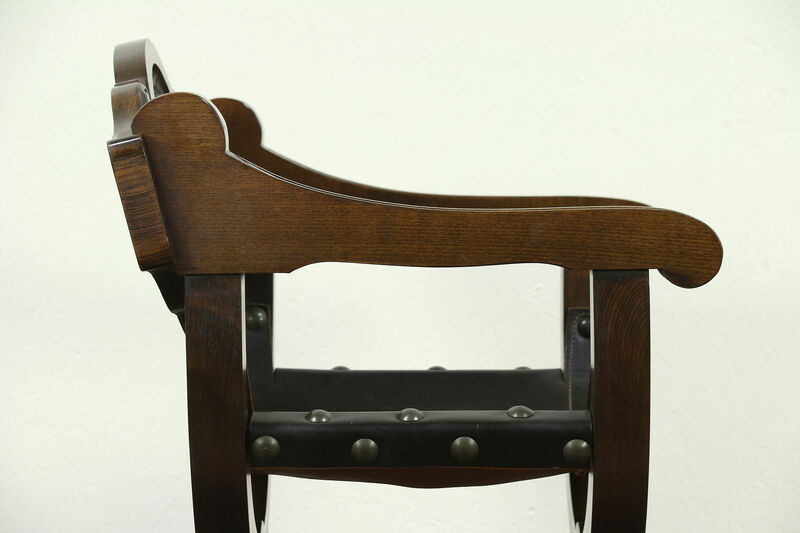 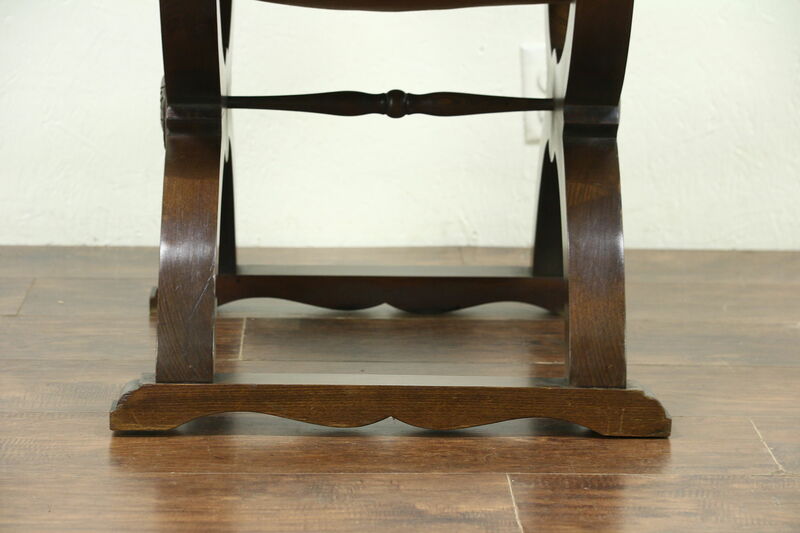 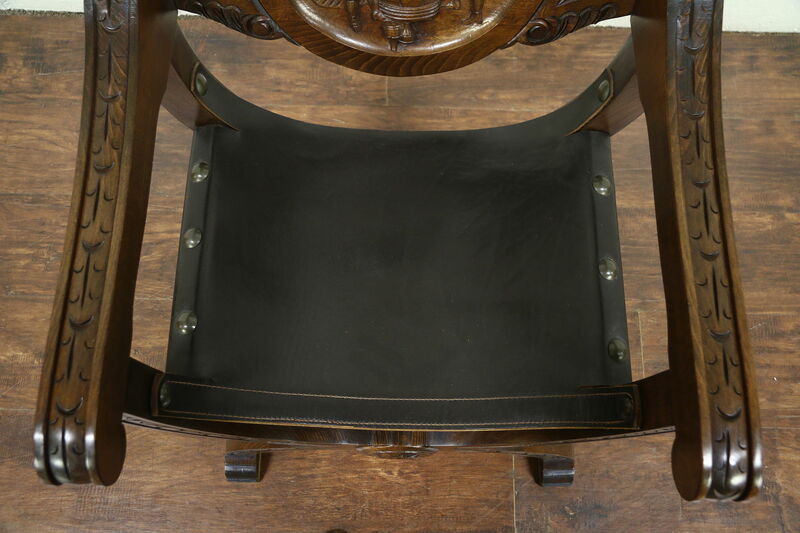 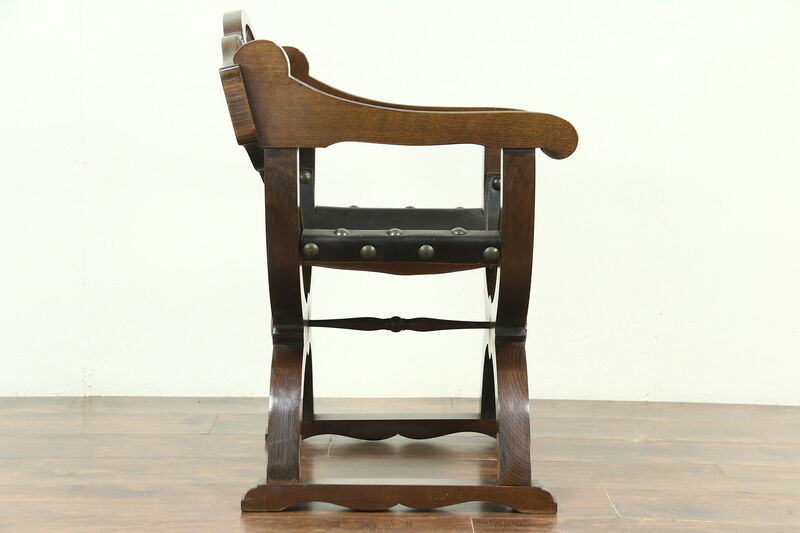 The thick saddle leather seat is original and in extremely fine condition on this vintage furniture. 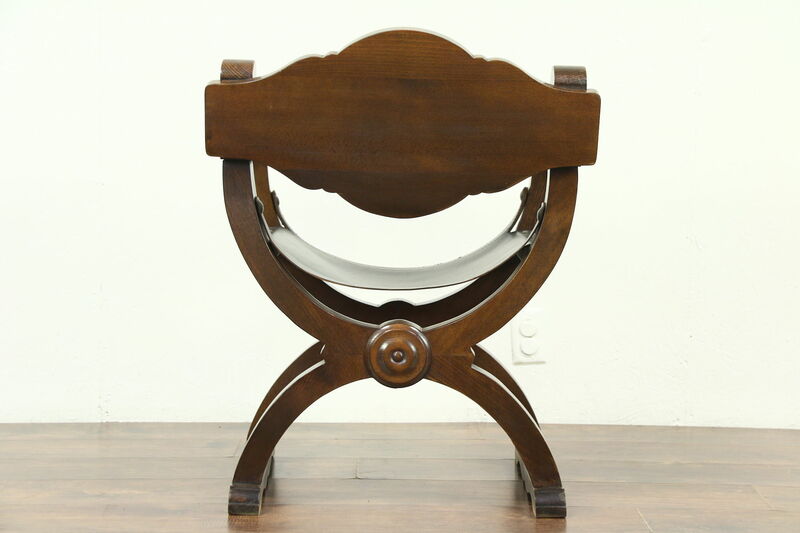 Measurements are 25" wide, 22" deep, 31" tall and the seat is 16" high.